Where Can You Get More Books for a Nook? Nook owners can shop for and purchase new books directly from a Nook device or app. To get new books without using the Nook, go to the Barnes and Noble website, and browse its Nook Book section. The Nook has several tabs for users to navigate. One of those is labeled Shop. Click the Shop tab, and use the search bar in order to browse for new books. The device must be connected to the Internet in order to browse for books this way. To buy from the Barnes and Noble website, navigate to the main page, which features a series of tabs across the top. Select the Nook tab. From there, enter the search terms, such as title, genre or author, into the Nook search bar. Browsing with the Nook page filters out books that are not available on Nook. Select and purchase the desired book, then open your Nook app or device. Barnes and Noble send an email alerting you when the new books become available for download in the Library section. What Are Some Differences Between a Kindle and a Nook? 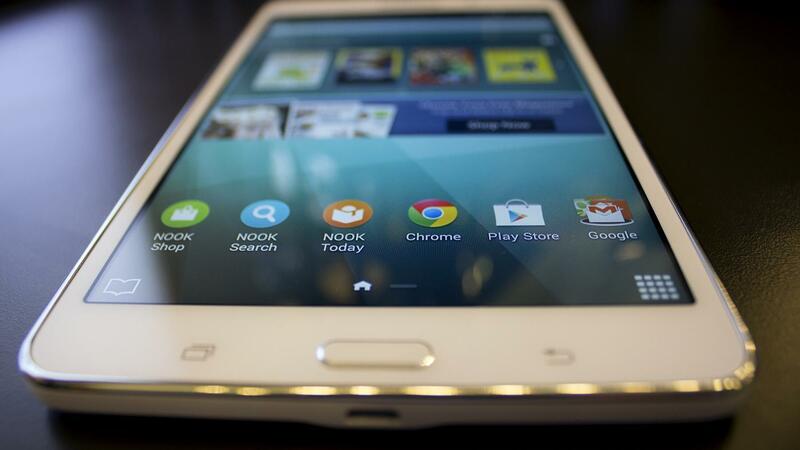 What Is the Barnes & Noble Nook? How Do You Download the Free WWE App? Where Can You Download a Prayer-of-the-Day App? How Can I Get My Account Information From Sprint Through a Text Message? How Do You Accept Collect Calls on a Cell Phone for Free? Is the Kindle Fire Instruction Manual Available Online? How Do You Scan Codes With Your Smartphone? Where Can You Get the Jesus Calling App for Android?